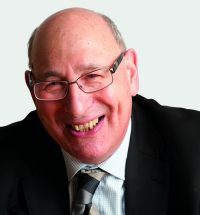 Derek is Chair of the Altair and Aquila Services Group plc (Altair’s parent company) Boards. 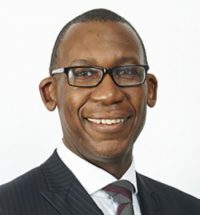 He possesses a wealth of housing sector experience: prior to joining Altair, he was co-founder and Managing Director of HACAS Group plc, a successful quoted social housing consultancy that became a major subsidiary within Tribal Group, where he was Executive Director of Treasury Services. During his career, Derek has advised and project-managed for European governments and cities, UK government departments, local authorities, housing associations, commercial property companies, investors and financial institutions, in addition to structuring joint ventures for numerous organisations. He has also worked as both editor and guest editor of Social Housing Magazine. Derek now divides his time between several senior roles across multiple organisations and is a consultant on a number of major funding projects for affordable housing. Mr Wollenberg is Chairman and Chief Executive of the Cardiff Property PLC, a quoted property investment and development company. Since his appointment in 1981 he has substantially increased the asset base of the company. Over the past 25 years he has been actively involved in numerous corporate acquisitions, mergers and capital reorganisations of public and private companies, very many of which were in the services sector. Between 1981 and 1996 he was an investment consultant with Brown Shipley Stockbroking Ltd. Mr Wollenberg has considerable experience and an excellent track record of admitting investment vehicles to the market and then negotiating successful Reverse Takeovers by them. In 2015, as Chairman of General Industries Plc a cost shell, he negotiated the reverse acquisition of Altair which after two acquisitions was renamed Aquila Services Group Plc. He is a non executive Director of Aquila Group and a large shareholder. 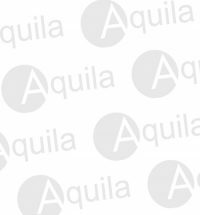 Steve is Co Chief Executive of Aquila Services Group plc. He brings a wealth of experience gained from years of working in the housing and regeneration sectors, where he has held a number of senior roles, as well as being Chief Executive at two housing associations and the Housing Corporation. As Chief Executive of the Housing Corporation, a government sponsored Non-Departmental Public Body, Steve had responsibility for an £8.4 billion three-year budget to deliver 155,000 affordable homes and for regulating England’s 1,500 housing associations. In addition, he led on the creation of the National Affordable Homes Programme, and the introduction of private sector organisations delivering affordable homes. He is currently also chair of one of the largest housing associations in the Capital. As Co Chief Executive at Altair and Executive Board Director Steve has the responsibility for running and growing Aquila. Fiona’s experience is in building and running consultancy businesses, having previously led a large consulting business within a listed company. She is one of the founding directors of Altair and continues to work with clients across the housing sector. She is experienced in mergers and acquisitions and corporate governance, both in the private and the not-for-profit sector. 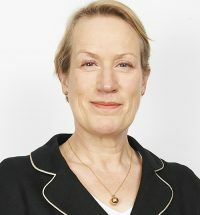 As Chief Executive of Altair and Group Company Secretary, Fiona is a member of the Aquila Services Group Board and the Group Executive. 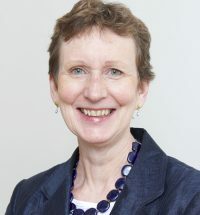 For a more detailed biography please see Fiona’s profile on the Altair site. Susan has significant finance and corporate experience in the consulting, local authority, housing association and voluntary sectors. She contributes to Altair’s overall performance and more specifically leads the Finance team, advising and supporting clients with their strategic ambitions and financial business plans. She has assisted organisations during mergers and advised on the development of growth plans. Prior to becoming a consultant, Susan was Treasury and Corporate Services Manager for a London-based housing association, where she gained substantial experience of corporate strategy, treasury management, investment and capital financing, strategic business and financial planning. She has also operated at director level in both Finance and Development capacities.